This is an online subscription. Credentials will be emailed within 2 business days. 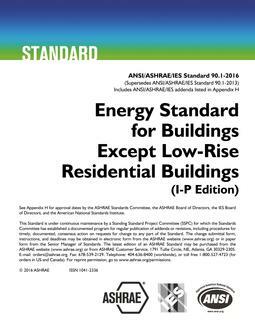 90.1 Portal is a multiple-publication online tool that brings together as never before ASHRAE Standard 90.1, User's Manual guidance and tools, and a redline version that shows changes to the current standard from the previous edition. 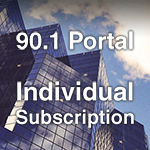 90.1 Portal will change the way you use 90.1. With 90.1 Portal, you can view each publication side by side or separately. Copy, paste, print, and annotate content. See official ASHRAE Interpretations in the context where they matter. When errata are issued, you'll see them, as well. Introductory 1-Year Subscription Price $149 (usually $169)/ASHRAE Member Price $127 (usually $144). Corporate network subscriptions available.